Facebook has released new changes to their Newsfeed. What impact does this have on your Business Page? Well, another new change is that if a person hasn’t logged into their profile for awhile, tagged photos and status updates will appear first in their newsfeed. People who live in Facebook will see the most recent stories first. 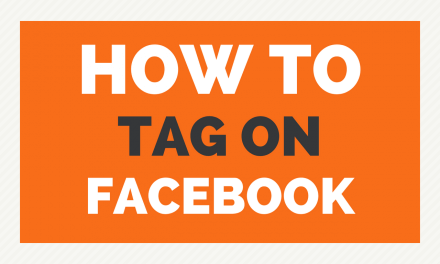 So, what does this actually mean for your Facebook business page? Well, it’s early days, but I think this means that you are more likely to get your Page posts viewed by regular users of Facebook, regardless of whether the post has received many likes or comments. I suspect that it’s also great news for your Business Page as long as you understand your target market and create content that people like. The aim is to get your content classified as a ‘Top Story’ so it will also get viewed by people who login to Facebook less frequently. You know yours is a ‘Top Story’ if it has a blue corner. I get the impression that business Page updates will get more visibility in the Newsfeed than you did on the old Profile Wall system. How can you make sure your Facebook Page content becomes a Top story? You want to get Likes and Comments on your content. The aim here is to post content that people will like. To do this, you need to understand your target market. One way to get your brand in more people’s streams, is to share content created by other people that’s fun or interesting. This can be a quick win. Other people’s content can still get you likes and comments and those comments will get you the pride of place. . .Facebook Top Story. Again, it’s early days here, so I’m just shooting from the hip here. . . The new changes that pose the biggest risk to your Business Page are the new controls people have over their stream. The GOOD news is that average users simply don’t get or care about how Facebook works or the advanced features. Don’t believe me? How many people do you know last year that were aware they could publish content to specific lists, keeping their business and personal lives separate? This was an advanced feature that most people didn’t know existed. Also, if you look at the statistics of Facebook users, the more mature age group are the largest users of Facebook in the UK. Sorry, folks, but exploring new technology doesn’t come as naturally to you as it does the gamer generation (unless they’re in the thechnology industry). I’m generalising hear, but this group wants to use Social Media to achieve a purpose. If they can achieve that purpose, then they don’t care about the bells, whistles or having the ability to manipulate their Social Media streams. I suspect that there will be plenty of users who won’t take the time to learn how to use these new features. They will sit back and happily consume the content that Facebook presents to them in the format Facebook chooses to present it. The new Facebook Newsfeed allows people to mark or unmark content as Top Stories by clicking the arrow in the right hand corner of the post. This gives users some control over what appears as Top Stories in their stream. The risk here is that you work hard to get comments and likes, but some people may not see it if they regularly unmarked your other content as Top Stories. From this same drop down menu, people can mark your story as spam. This has the potential to be bad news for your posts, because people have such different perceptions of what Spam is! My advice, just don’t get carried away with lots of sales messages. I’ll be really interested to know how much the average user will utilise this to control their Facebook stream. This feature allows Facebook users to control whether they see, All Updates (everything the person posts), Most Updates (What you normally get), or Only Important Updates (Just highlights, like a new job or move) from personal profiles. Users can also choose to unsubscribe from Status Updates or Unsubscribe from the person. These options are not available for Facebook Pages. People can Mark or Unmark content as Top Stories. They can hide particular stories, report stories as spam or Hide all stories by the business page. The risk here is that your posts get Hidden by your fans. In the past, I don’t think your average user understood how to remove their ‘Like’ from a business page. The question is will your average user understand how to control their new Newfeed? Will most people hide your Business Page posts? I suspect not, but I could be wrong! Read Facebook’s description of the changes. What do you think? PreviousDo bit.ly links still work with Twitter?